Whether you have a simple question or you feel ready to get started on your Financial Life Plan, drop us a message and we’ll get right back to you. When would be best to contact you? We put together a handy newsletter on the topics we feel our clients should care about. Feel free to join for free today. A guest blog for Serenity Financial Planning by investment, retirement and platform research consultant Abraham Okusanya MSc of Finaytiq. A crisis is coming! In the coming years, there is going to be a major financial crisis! This crisis will bring capital markets across the world to their knees. There’ll be a lot of panic. Your investments will take a beating. You’ll be very angry and confused. Like most investors, you will find someone to blame. The easy target would be your financial advisers. Or wealth manager. Or investment manager. Someone, anyone! You will likely blame your financial advisers for not seeing it coming and not shielding your portfolio from this severe crisis. They might have given you a wrong impression that they could foresee and avoid this kind of crisis. They might have even told you that it’s their job to shield your portfolio against this sort of crisis. And you might have paid them good money for this. The reality is that they are not really to blame for the crisis. But the truth is that no one knows exactly when and how this crisis would hit. No one knows what to do exactly to avoid it. Not even the people whose job it is to forecast the stock market, who by the way often do a terrible job. Even I have no idea when this crisis would hit. It may be next year or next five years or hell before you finish reading this piece. Is this a forecast? No. Not even close. I have no idea when or how this crisis will happen. But extensive study of investment market tells us that crisis is an inherent part of investing. 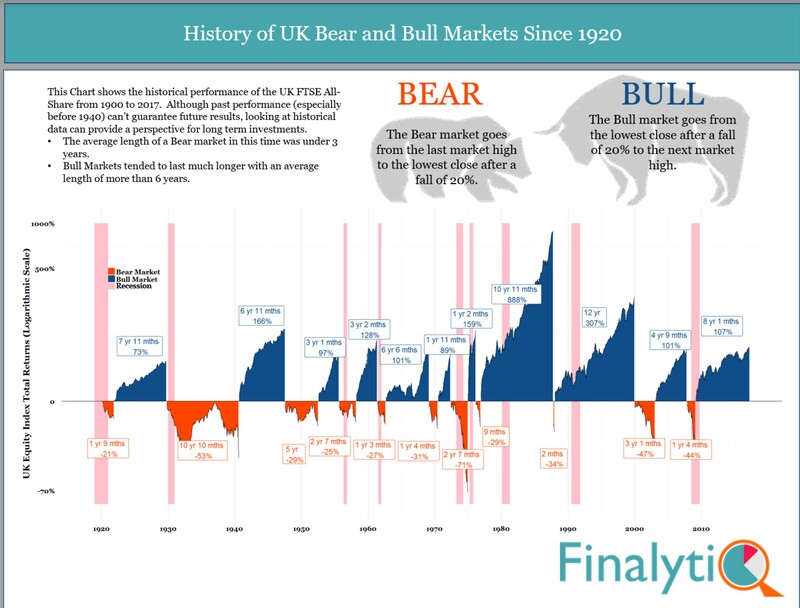 Fig.1 below shows the bull and bear periods for UK equity market since 1920. A bull market is when total equity return has increased by more than 20% of its previous level. The bull market continues until total equity return peaks. A bear market is when the total equity market return declines by more than 20% from its previous peak. The chart shows how long a bull or bear market last, and the cumulative return over that period. The point here is that crises are part and parcel of our financial system. Now and then, something goes wrong with our financial system despite the best efforts by governments and regulators. None of this is to suggest that the investment markets don’t deliver good return to an investor. In fact, the contrary is true. The capital market is the greatest wealth creation machine ever invented. 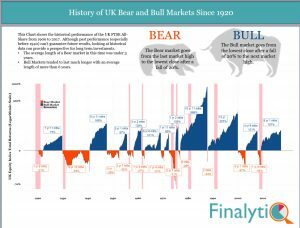 As you see in Fig.1, over the last 100 years or so, the UK and US capital markets have delivered amazing return to patient investors! This is despite the several crises which punctuates these periods of amazing return. And the best an investor can do during these crisis scenarios is to ride out the storm. And those investors who do are handsomely rewarded. In his recent letters to investors, legendary investor Warren Buffett sums up why we should invest for the long term, regardless of the occasional economic declines. One way to prepare for the financial crisis is to stress-test your financial plan. Hopes and dreams are great, but a financial plan is a roadmap to achieving those dreams. A stress-test enables us to explore how a plan might fare under a wide range of extreme market conditions. Good planning requires us to consider and explore what sorts of scenarios could potentially cause a financial plan to fail. But we need to go beyond this; the real value is to then formulate an action plan, in advance. The worse time to prepare for a crisis is after it’s already happened. 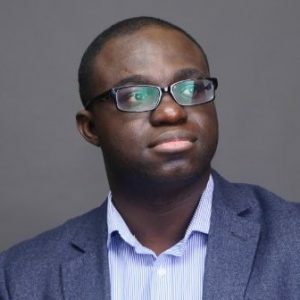 Abraham Okusanya MSc is founder of investment and retirement research consultancy, Finaytiq and creator of Timeline.co, a web software for illustrating sustainable withdrawal strategies in retirement portfolios. Download "A Guide to Retirement Planning"
What financial topics are you interested in?